As seen on the side of a bus stop in Kazakhstan. Some things, unfortunately, are present everywhere. 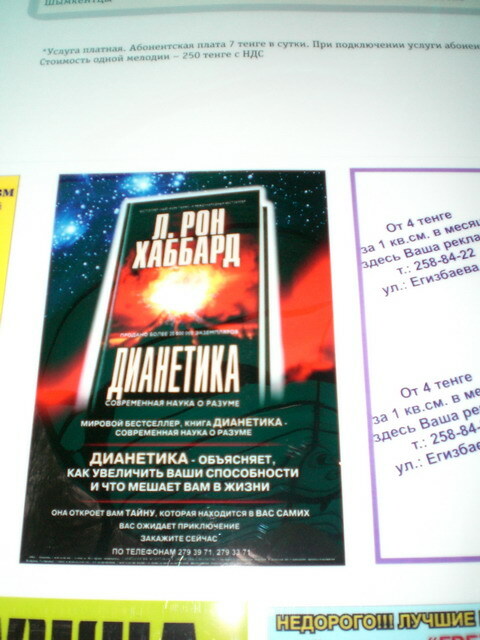 For the non-Cyrillic readers among you, that's L. Ron Hubbard's Dianetics, advertised on the side of a bus stop in Almaty.